The machine is consist of 280*240mm baking plates, plates material is high-qualified ductile cast iron, each plates can make two cone sheets. 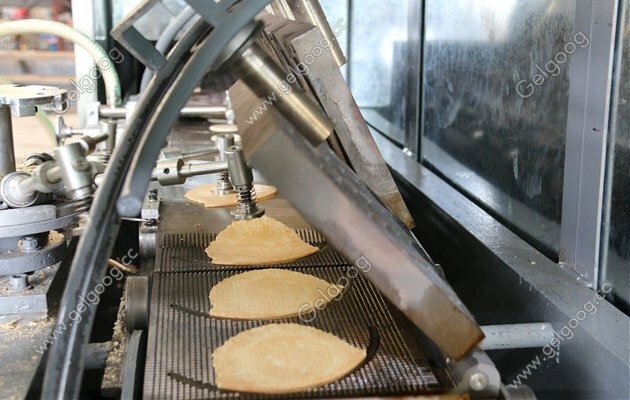 Automatic Ice Cream Cone Production Line The full automatic ice cream cone production line is used for making the waffle cone in commercial business.The machine is consist of 280*240mm baking plates, plates material is high-qualified ductile cast iron, each plates can make two cone sheets. 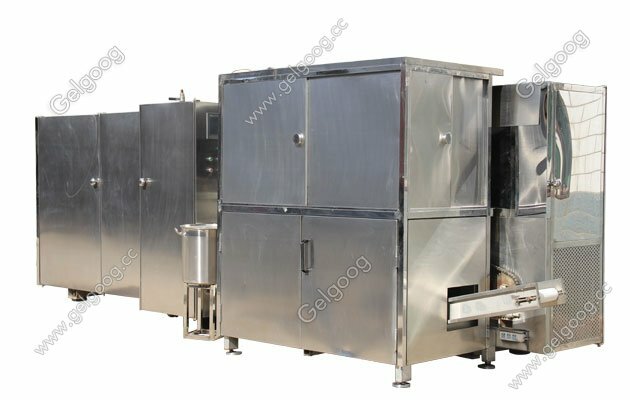 The machine is driven by the 3 phases power and backing oven is heating with gas (natural gas or liquid gas), electric ignition, oven temperature electronic display. 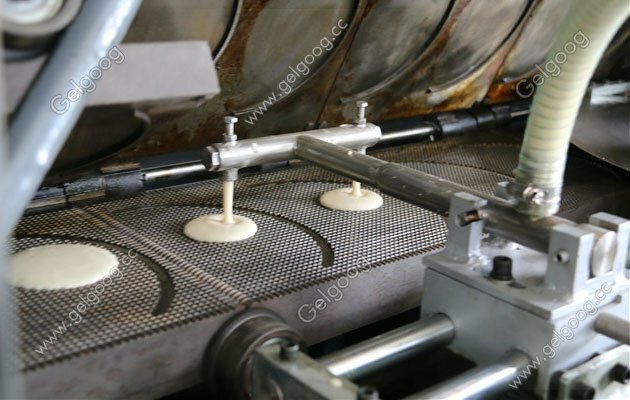 The producing ability is very high and it is all automatic from spraying the batter, baking, forming, falling off from molds, conveying products, stacking and counting.